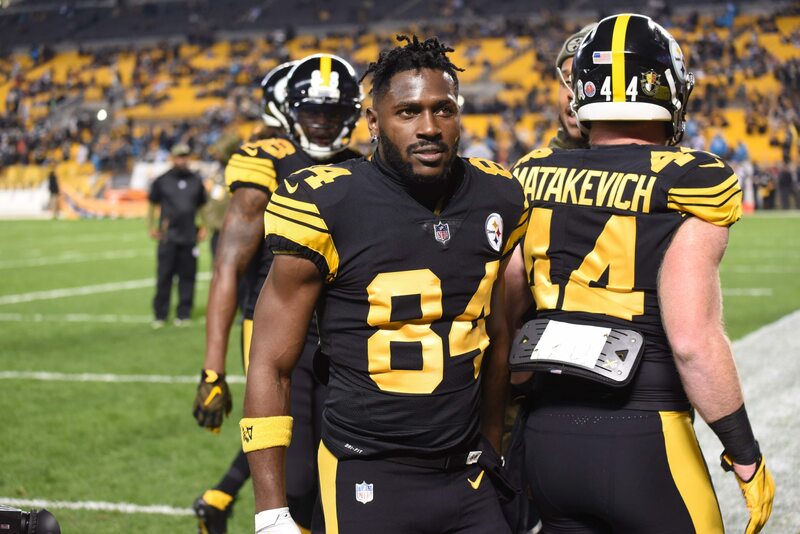 In a game with big plays on nearly every drive for both teams, Pittsburgh Steelers wide receiver Antonio Brown provided another one with a 53-yard touchdown. Late in the second quarter, Brown eviscerated Panthers rookie cornerback Donte Jackson in coverage deep down the sideline then jumped into the end zone to finish off the long score. The matchup against a rookie cornerback showed why Brown is one of the best playmakers in the NFL and provided a costly lesson for Carolina’s rookie cornerback. It’s been a tough night for the Panthers secondary with JuJu Smith-Schuster also roasting them for a huge touchdown. In a game that hasn’t featured much defense, more points are almost certain to come with these offenses putting on a clinic Thursday evening in Pittsburgh.